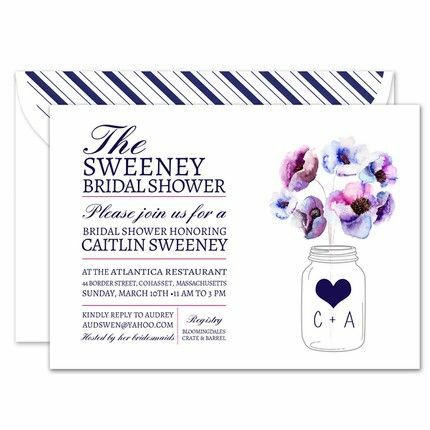 A mason jar holding gorgeous watercolor flowers sits on the right side of this flat white invitation. A heart motif is placed on the jar above your text. Customize the portion on the left side of the card with your event details.